“Someone with historical sense sees reality differently: in four dimensions,” notes historian Gordon S. Wood. “If it is self-identity that we want, then history deepens and complicates that identity by showing us how it has developed through time.” Artist Matthew Buckingham clearly possesses this historical sense, and his nuanced understanding of time has informed a decade’s worth of installations that use time-based media (film, video, and slide projection) to imaginatively conflate past and present. 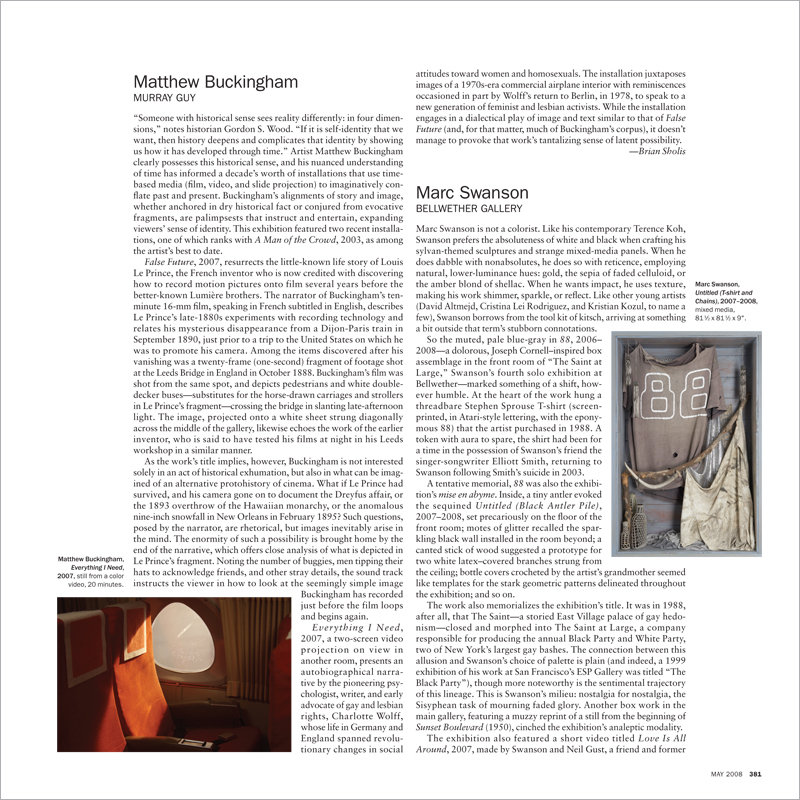 Buckingham’s alignments of story and image, whether anchored in dry historical fact or conjured from evocative fragments, are palimpsests that instruct and entertain, expanding viewers’ sense of identity. This exhibition featured two recent installations, one of which ranks with A Man of the Crowd, 2003, as among the artist’s best to date.